Last Friday, I produced some Christmas items for morning tea. It was a special charity morning tea, in support of the Salvation Army Christmas appeal. And also propelled me to do some Christmas cooking. I must admit to a slight anxious moment of potential inadequacy; what if no-one would like what I made? I need not have worried. 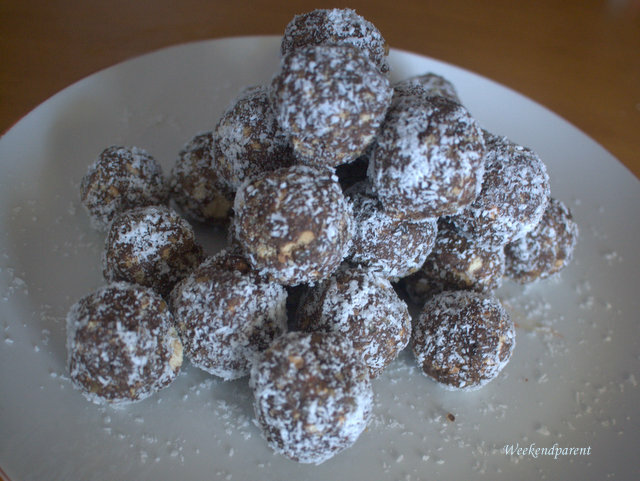 I made two morning tea treats, and the one that people went back for seconds and requested the recipe for were my chocolate ginger coconut balls. 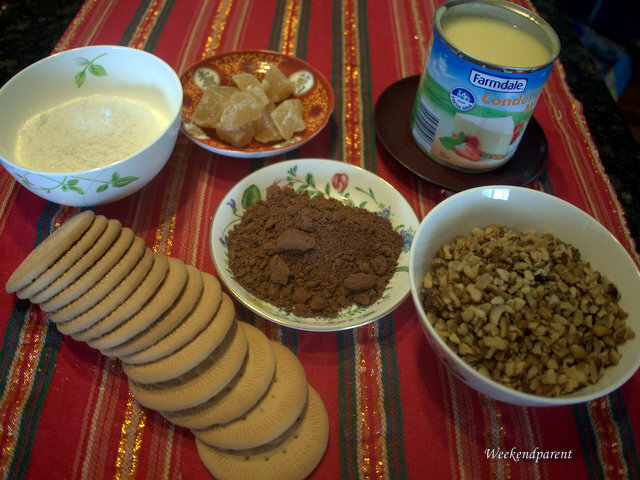 This recipe comes from my sister, who originally got the recipe from my Nana. It is an almost embarrassingly easy recipe, yet like many simple classics it is popular for a reason. Each year my sister makes several batches to give as gifts to friends. Word has spread, and now she spends several weeks making them for friends as well as her husband’s work colleagues and corporate clients. Luckily, they are easy and quick to make and do not require baking — perfect during a sweltering Aussie summer, especially in Queensland where she lives. 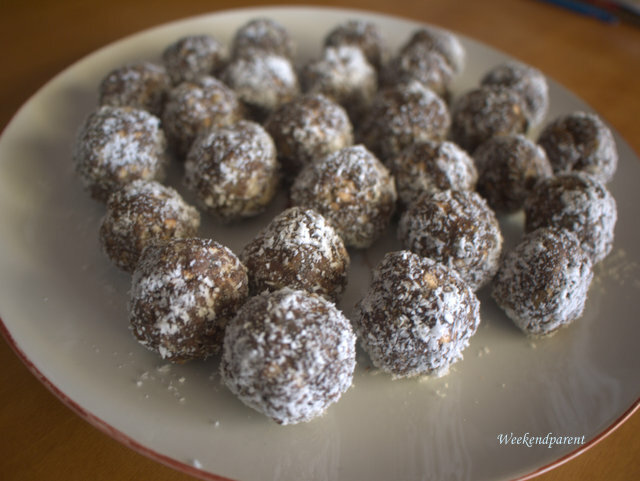 You may have noticed that this recipe is a variation on rum balls. You can make these with liqueur (they are especially nice with an Irish liqueur such as Baileys). But I didn’t have any in the house, so substituted ginger. I found I liked the Asian-style influence of ginger, and the contrast between the slight heaty bite and the sweetness of chocolate. I especially liked using Buderim Ginger’s Naked Ginger, which was less sugary than conventional glace ginger. I also modified the recipe slightly to make it more frugal. 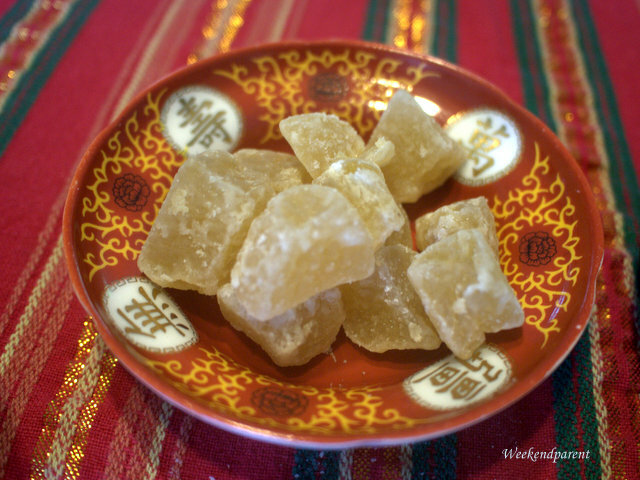 Crystallized ginger is not a cheap item, nor are walnuts, but a little bit goes a long way in this recipe. Pulverize the biscuits in a food processor until they are a crumb like consistency. If you don’t want to use a food processor (I don’t even have one — shock horror), place around a third of the biscuits into a sturdy ziplock bag, and crush roughly with a rolling pin. 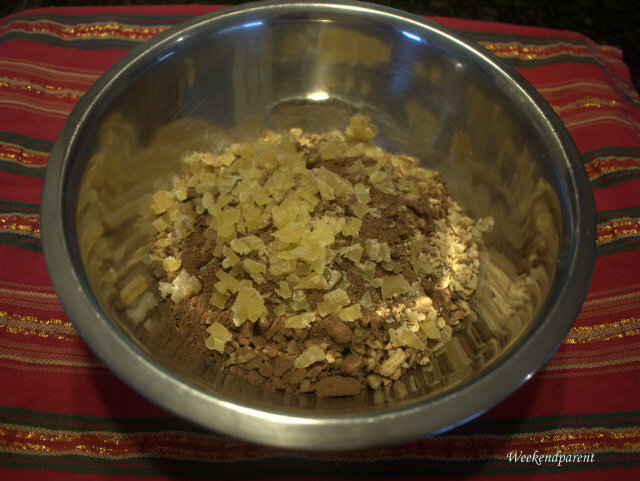 In a large bowl, combine the biscuit crumbs with the cocoa powder, walnuts, ginger powder and chopped naked ginger. Pour over the condensed milk (my favourite bit), and stir until combined. Add additional condensed milk if necessary. 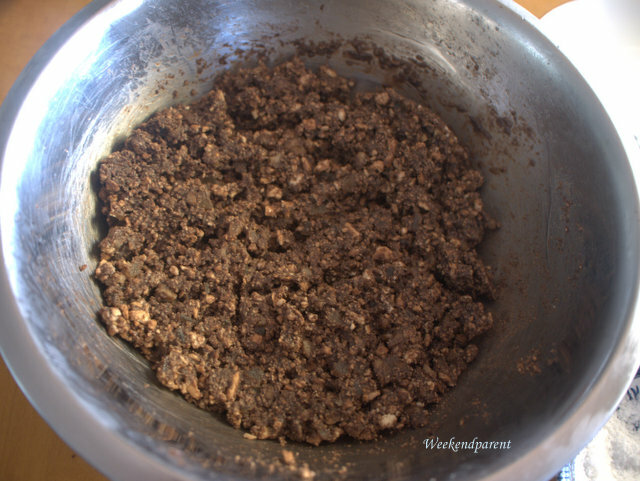 The finished mixture should be moist but not wet. At this point, you can place in the fridge for an hour or even overnight before rolling. This will harden the mixture and make it easier to form into balls, but is not essential. Roll the mixture into small balls, using a spoon for guidance to get a consistent size. I find walnut size too large, and grape size too small: mine are roughly dessert spoon size. Roll in coconut and refrigerate until required. They look pretty in cellophane bags with ribbon ties. Homemade condensed milk can be made easily by combining ½ cup of hot water with ¾ cup of sugar. 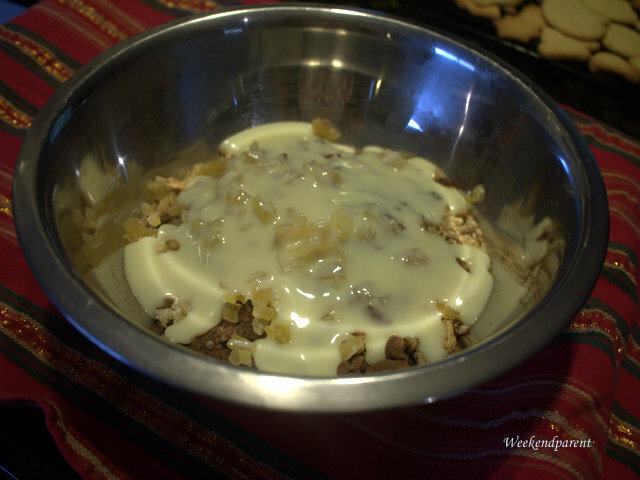 Stir to dissolve, and then gradually add 1 1/3 cups full fat powdered milk. Cook slowly on top of a stove for a few minutes to combine, or alternatively heat in a microwave on high for 45 seconds. This will be less smooth and more grainy than commercial condensed milk, but it will do the trick just fine for this recipe. It is also cheaper and environmentally friendly (no need for a tin can to be tossed into the rubbish bin). Interesting… I didn’t know that you could make condensed milk that way. Thanks Serina.